Welcome to the new website of Tasmanian Special Timbers. 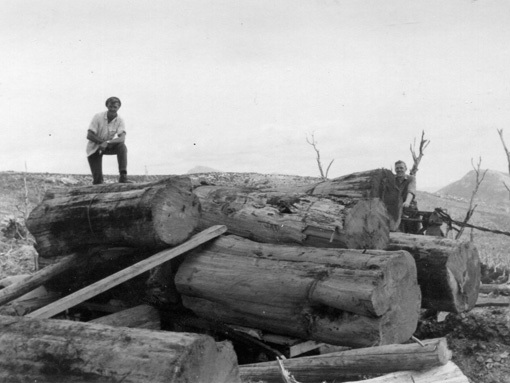 This rebuilt site marks a new chapter in Tasmanian Special Timbers’ operations: while our sawmill near Queenstown and the shop on the Strahan waterfront will still sell the majority of our timber, for the first time we have chosen to release some select offerings via this website. Magnificent, ancient burled logs that we have been carefully husbanding for decades are now available to peruse on the web, and another new product offering comprises carefully selected, high quality logs, slabbed into appropriate sizes, providing wonderful opportunities for furniture makers. And, in a third option, people wishing to access commercial quantities of craftwood Huon pine have a once-in-a-lifetime opportunity to obtain supplies of this vanishing resource. Occurring only in Western Tasmania, Huon Pine and King Billy Pine are quintessentially Tasmanian creations. So, too, is this website. We are proud and delighted to report that all of the photographs were taken by locals – some by clients and friends of ours, and many from the treasured Bradshaw and Morrison family collections – and almost all of the creations depicted here were made in Tasmania. The text was written by locals, steeped in the stories which bewitch and beguile so many visitors, and the web development is an equally home grown product. 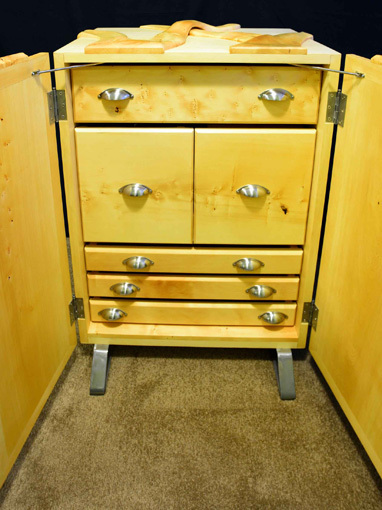 Take a look at our partner website www.huonpine.com for more inspiring Tasmanian creativity. 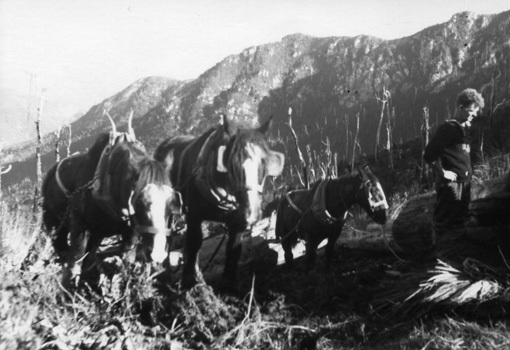 Given the high quality of the timber and the rugged beauty of the mountain slopes and valleys where it grows, it is not surprising that the enterprise of extracting these ancient denizens from their wild homes generated extraordinary resourcefulness and resilience in the men who retrieved the logs. The stories and legends have not diminished, even though the men who feature in them wither away with age in a way that Huon and King Billy pine never will. The Huon Piners have a storied history, generating books and videos and festivals in Strahan, but the exploits of the King Billy Piners are less well recorded. Future editions of this blog will tell those stories.